to develop city objects for the historic center of Prague. A range of incredibly elegant street furniture was designed for the center of Prague. Benches, trash cans and bike racks help improve urban landscape without compromising the beauty of historic districts. The main piece the furniture ensemble is a bench with unusually shaped cast-iron supports. It’s laconic design, the black and white color scheme and incorporation of the city’s coat of arms make it appear airy and solemn. Recesses on the sides rhyme with the arches of the towers of Charles Bridge resulting in an interesting diversion for tourists. What at first glance appears as an unremarkable bench with regular legs and a white seat, on closer inspection reveals a concealed arch. Welcome to Prague. 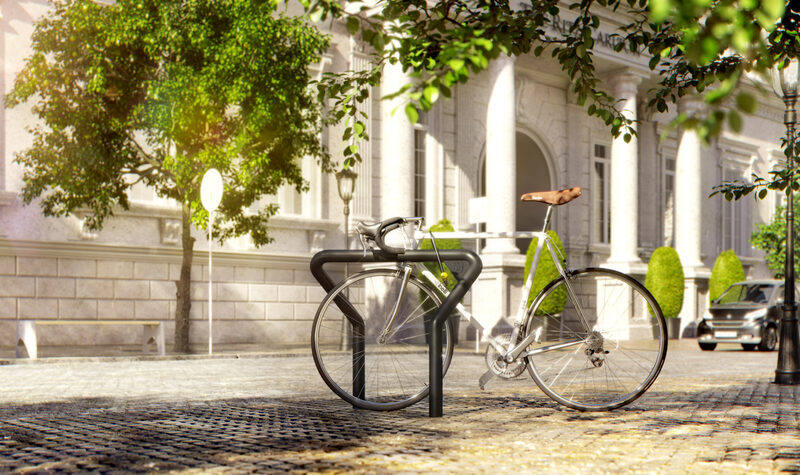 The minimalist yet expressive bike rack delicately fits into the urban environment blending in with old street lamps and cast-iron manholes. 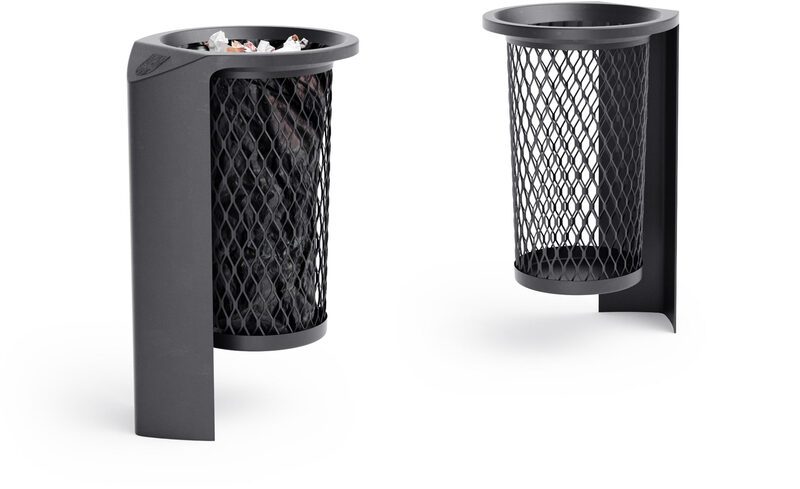 With its matte metal frame of a complex design, a pedestal with triangular cutouts and reserved black color the trash can resembles an art object when seen from a distance. The height of the trash can allows to throw garbage even on the run. A tall bench with armrests and a backrest was created based on the design of the white bench. 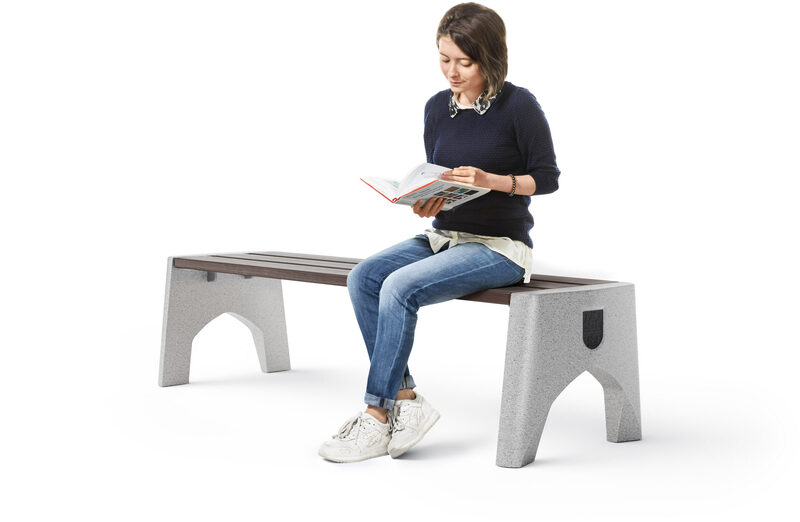 Two versions were created: a black and white bench with cast-iron supports and a gray and brown bench with supports made of granite (both equally beautiful and comfortable). The airy black and white benches look great on paved surfaces while the granite ones work best near modern buildings and public spaces. 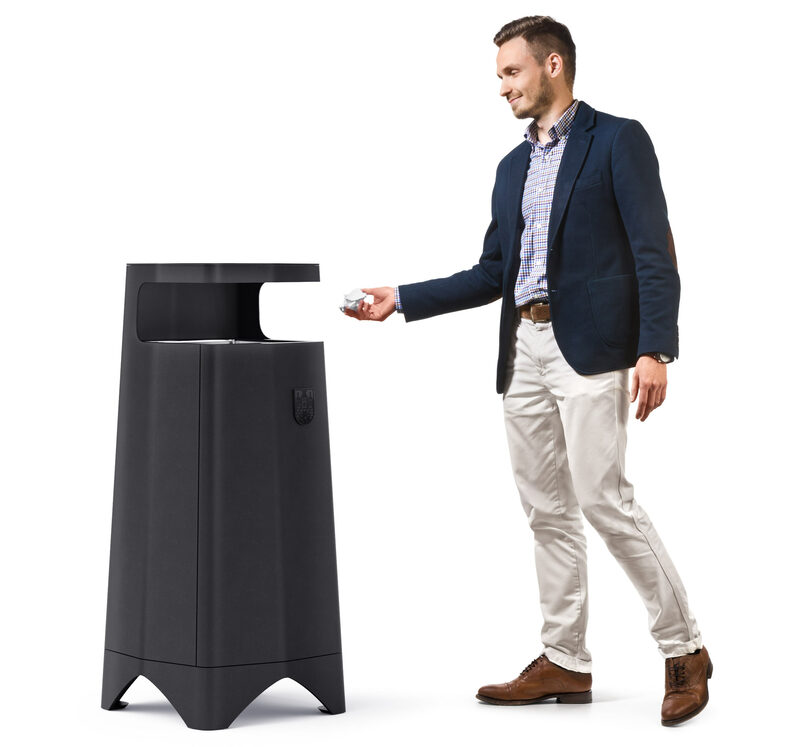 A light and compact city trash can that looks great on streets and in parks. A pleasant bonus: the trash can is extremely inexpensive to produce. The range borrows its style from the city's coat of arms.